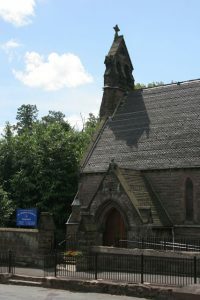 St Filumena’s Roman Catholic Church stands on the narrow road leading from Caverswall village square to Blythe Bridge. In 1811 a community of Benedictine sisters, originally from Ghent in Belgium, settled in Caverswall Castle from Preston. 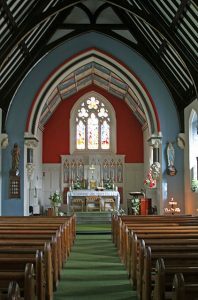 They first created a chapel in the castle itself, but in 1812 the first Catholic chapel in Caverswall since the Reformation was built. 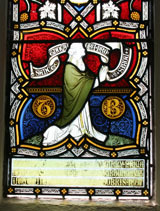 It was opened by Bishop Milner on 26th Jan 1813. The community hosted many great leaders of the Catholic community at the time, including Bishop Milner and Blessed Dominic Barberi. They founded a girls school that drew pupils from all over the Midlands, and eventually moved to Oulton. Catholics from Meir and Lane End (Longton) had attended mass at the convent until a separate chapel in the town was built for them in 1820. 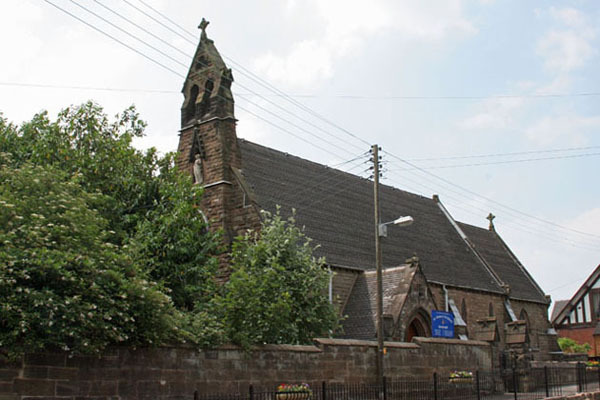 In 1864 the present church of St Filumena was opened for the people of the area of the present parish covering Caverswall and Weston Coyney and most of Blythe Bridge. (Article from the Staffordshire Advertiser Newspaper, published on 20th September 1862). “On Thursday last a new Roman Catholic Church, erected in the village of Caverswall, was opened by the Titular Bishop of Birmingham, Dr Ullathorne. The principal portion of the cost of the new building (£1,700) has been generously defrayed by J.P.P. Radcliffe Esq of Caverswall Castle. The edifice stands on a piece of ground contiguous to the ancient castle and within a hundred yards of the Protestant church. It is dedicated to St Filumena and its style is of the first period of Pointed architecture. 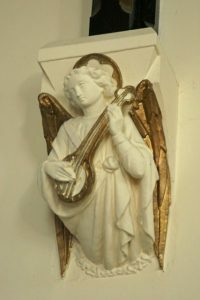 The church has been built from the designs of Mr Gilbert R Blount of London, by Mr Lewis Jeffries of Stone, and the carving has been executed by Mr Williams Farmer of London. (Article from the Staffordshire Advertiser Newspaper, published on 30th January 1864).